Arts-and-crafts details throughout lend the B&B a genial ambience. I arrived in Madison late, well after sunset, with the dome of the magnificent Wisconsin State Capitol illuminated like a beacon before me. Less than a mile away, I checked into the Mendota Lake House B&B (formerly the Collins House B&B). By now it was too dark to do any exploring, so I crept up the stairs to my cozy and quiet room and opted for a full night’s sleep instead. A delicious breakfast awaited me the following morning: freshly squeezed orange juice, a filling omelet with cheese and green peppers, Canadian bacon, a date and chocolate chip muffin, and honeydew, kiwi, and strawberries. While I absorbed this tasty bounty, I also absorbed the interior of the five-bedroom B&B. The Prairie School–style structure was built in 1911 on the shore of Lake Mendota for lumber executive William H. Collins by local architectural firm Claude & Starck, which constructed nearly 200 buildings in Madison during its 32-year run. Many of them, including this B&B, are now listed on the National Register of Historic Places. The lakeside sitting room boasted remarkable views of the lake, and an inviting fireplace anchored the large living room, filled with comfortable furniture ideal for lounging and socializing. Beams along the ceiling drew my eye toward the stenciling running above the abundant windows. 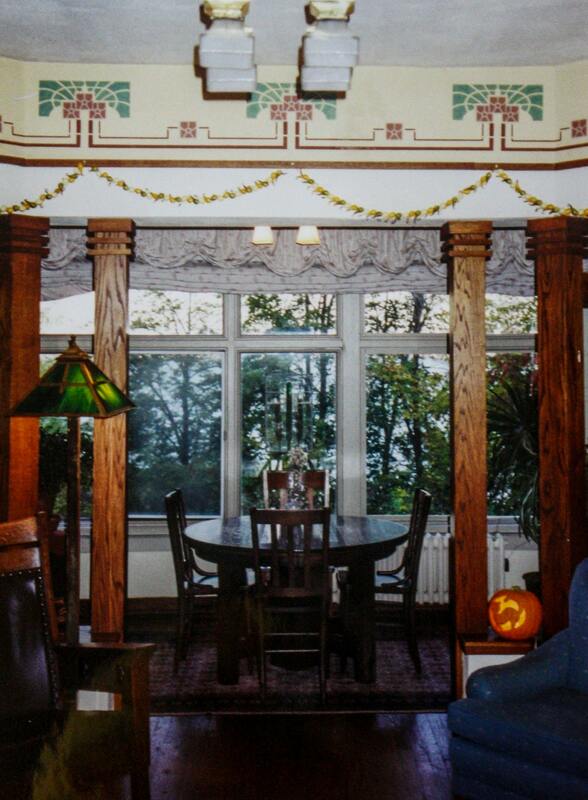 Oak, maple, and mahogany lent additional warmth, and the arts-and-crafts details imbued all the common areas with a homey ambience that made coming back here every night a delight. With my hunger satisfied, I stepped outside on a perfect autumn day and took a deep breath of crisp air as I admired the B&B’s leaded windows and overhanging eaves, the pumpkins and potted mums embellishing the staircase, the stone retaining wall, and the lush vegetation all around the property. The lovely residential neighborhood, with its charming houses, makes for an ideal stroll, but the best walk of all is right behind the B&B, along the shore of Lake Mendota and through the adjacent James Madison Park. 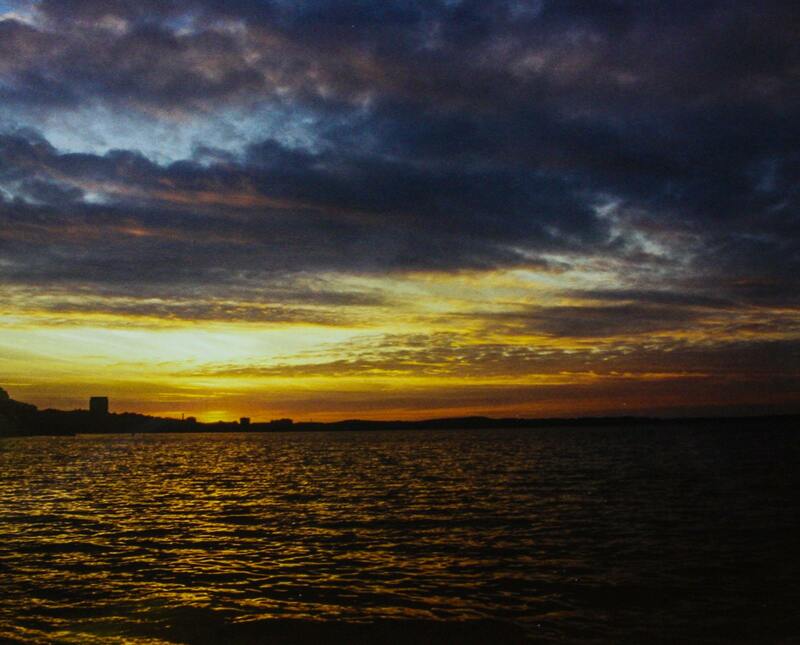 Daily sunsets over Lake Mendota are one of the finest features of the B&B. At night, I would return to the B&B to enjoy dramatic sunsets, when the lake water would shimmer with an iridescent glow, and then I would go inside to enjoy the goodies that greeted guests every night upon their return — chocolate chip cookies, brownies, and other sweet indulgences. Knowing that a pleasant night’s sleep was guaranteed and that a scrumptious breakfast would rouse me the following morning — cornmeal pancakes, or strawberry and cream cheese French toast, or scrambled eggs with scallions and red peppers along with roasted potatoes with rosemary — I rested easy each night with my choice of lodging during a week in Madison.